From exiting your home country to landing and establishing yourself in another country, you'll discover everything. To get started, use the search box below to find all our guides, articles, reviews, and how-to’s. Stop hassling with financial reports, spreadsheets, and the Revenue Service. Find an accountant for your business in Bangkok. Need health insurance in Germany? These insurance companies may be what you're looking for. Find out how to get the best health insurance for your needs. Wondering which insurance you need and don't need in Thailand? This guide clears up the confusion and tells you which one you need and which you can skip. This article shows you how to move to Thailand from the UK, survive the first year, and thrive in the Land of Smiles. 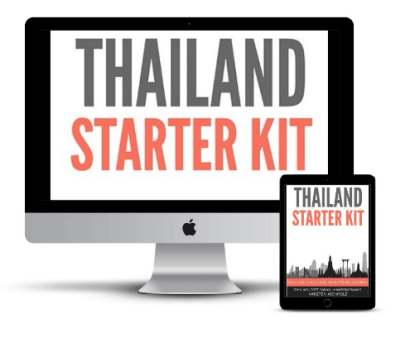 Download Thailand Starter Kit: Save Cash, Land a Job, Avoid Pitfalls, and More! What you need to know to land a job, stay long-term, and save $1,000s on rent, money transfers, insurance, utilities, and more!